What: MassArt welcomes families and friends of all ages to Family Day in the Bakalar & Paine Galleries. Visitors are invited to explore the fall exhibitions in a new and creative way through art-making projects designed and facilitated by MassArt Art Education students. Admission is free and refreshments are provided. Drop in at any time. Multidisciplinary work by contemporary artists who use scientific subject matter not typically visible, like data sets or brain waves, to create beautiful, compelling imagery. A selection of vintage posters from the collection of Robert Bachelder that spans the breadth of the art poster’s development from the 1890s to modern day. 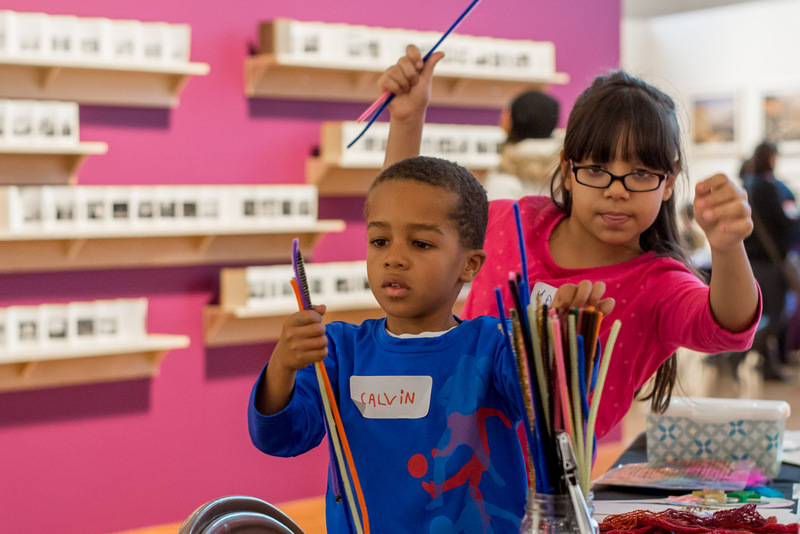 Why: Twice a year, the Bakalar & Paine Galleries host Family Day, a free day of interactive activities and art-making designed and guided by MassArt students and the Galleries’ staff and inspired by the exhibitions on view. Visitors of all ages are welcome, but activities are best suited for ages 6 and up. Fee: Free and open to the public. Materials and refreshments are provided. INFO: Visit massart.edu for more information.